NSW MP Sussan Ley talking with a farmer at the Corowa saleyards. NEW South Wales Liberal MP Sussan Ley will continue preparing a Private Members Bill aimed at phasing out long-haul live sheep exports, despite lobbying by farmer leaders in Western Australia today. After the meeting with representatives from WAFarmers and National Farmers Federation, the Member for Farrer said she remained unpersuaded by arguments to sustain long-haul live sheep exports “beyond any necessary transition period”. But Ms Ley said she looked forward to keeping open the lines of communication with farmers and the industry as she drafted the text of her Private Members Bill. The farmer delegation included WAFarmers president Tony York, the body’s livestock section president David Slade and chief executive officer Trent Kensett-Smith, and NFF CEO Tony Mahar. The farmer leaders said they delivered the latest industry data to Ms Ley, presenting “the most holistic view of the industry” and highlighting the importance of the trade to WA, given its representation of 85 percent of the national live sheep export trade. Ms Ley said it was important for her to gain the perspective of WA producers on the issue that she appreciated the exchange of information, “in particular the discussion regarding WA cropping and sheep production systems and the effects on those enterprises of no longer supplying this market”. Ms Ley was given a copy of the economic analysis provided by Mecado, that calculated a live export trade ban could mean an annual loss to WA sheep producers of $80-$150 million, costing some businesses up to $100,000 per business, with sheep price declines of about 18-35 percent. Ms Ley has asked for further detailed information on the implications for regions and farmers of removing the estimated 5pc of WA sheep now slaughtered offshore. “We agreed that increased onshore processing to meet an ever expanding demand for sheep meat would be a positive outcome. “We discussed opportunities for local value adding and the associated challenges, including the critical need for a workforce to achieve this,” Ms Ley said. After the meeting Ms Ley said for decades the suffering of animals has underpinned the operating model of the live sheep trade. “Australians will no longer accept rural export industries with animal welfare practices that are inferior to those our farmers willingly comply with every day. “Nor will they understand the logic of shipping sheep to the Middle East, only to be feed-lotted, processed and exported to third countries, labelled as Australian product and competing with our domestic meat producers,” she said. Mr York said he believed Ms Ley now has a greater understanding of how the trade affects WA farmers and the larger economy. Mr York said Ms Ley was very generous with her time, and showed a genuine interest in learning how the trade impacts Western Australia. “While we understand that Ms Ley is still determined to present a Private Member’s Bill and will be suggesting a phase-out period for live export, she showed a genuine appreciation for our efforts in working towards upholding live export animal welfare standards, and was accepting of the Mecardo economic impact report we commissioned,” he said. “This is undoubtedly an issue affecting the whole of the Australian live sheep export trade, and as an industry we are all heading in the same direction in striving to uphold strict live export animal welfare standards. “We can only hope that through continued engagement with industry and with consideration of the findings from the Federal Government’s review, that the best outcomes for the live export trade in conjunction with the highest standards of animal welfare can be realised,” Mr York said. 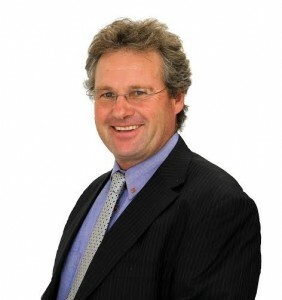 The issue of live export was deeply emotive, and required strong collaboration across industry and government, he said. “Anyone who has seen recent media reports on animal welfare issues would argue that urgent improvements are required so that the highest standards of live export animal welfare practices can be upheld, and that regulators and inspectors need to be held to account in maintaining these standards. If WA farmers supplying the live sheep trade were genuine in their concern for sheep welfare on boats and in third country abattoirs they would be demanding live exporters and third country processors provide them with carcase feedback on every animal in each consignment sold off the farm. This would provide the farmers with a reconciliation on numbers sold versus number actually slaughtered. It’s technically simple to do using electronic ear tags, and it’s technology that all Victorian farmers must use for sheep born from 2017 on. By having a sheep reconciliation for each consignment, farmers become active participants in the sheep welfare chain, and could no longer claim ignorance of welfare abuse post farm gate. If the trade is to continue, farmers involved must become active participants in sheep welfare rather than onlookers who blame another link in the live export chain for cases of cruelty and deaths. Farmers in fantasy land. Read the Australian Standards for the Export of Livestock. If the relevant parts were enforced, the trade would stop tomorrow. The fact is the exporters and the Department of Agriculture have been steadfastly ignoring the facts for decades. If you think this trade can be fixed, you are kidding yourselves.